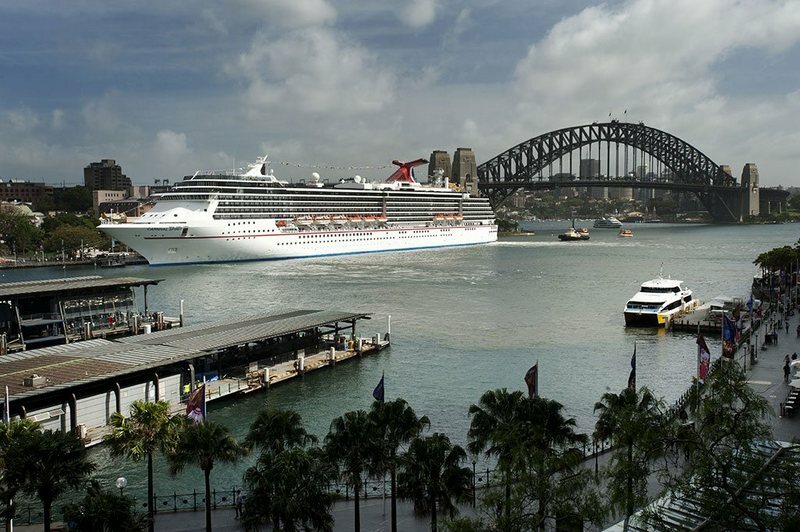 I recently took a 4 night cruise on the Carnival Spirit, absolutely loved it! If you’re ever considering sailing on this ship, I can confidently say, do it, because you will love it! I just wanted to share some of the things I loved most about the ship, some tips and tricks for those first time cruisers, and my overall experience, but there’s a lot to talk about, so I’m going to break this down into three categories; what’s there to do, what about the food and what should I know. The Carnival Spirit is jam packed with venues, events, and relaxation stations, so much so that even on my 5 days I didn’t get to do absolutely everything, (I certainly tried) but the below should give you some idea of what you can do. Serenity was by far my favourite part of the ship. 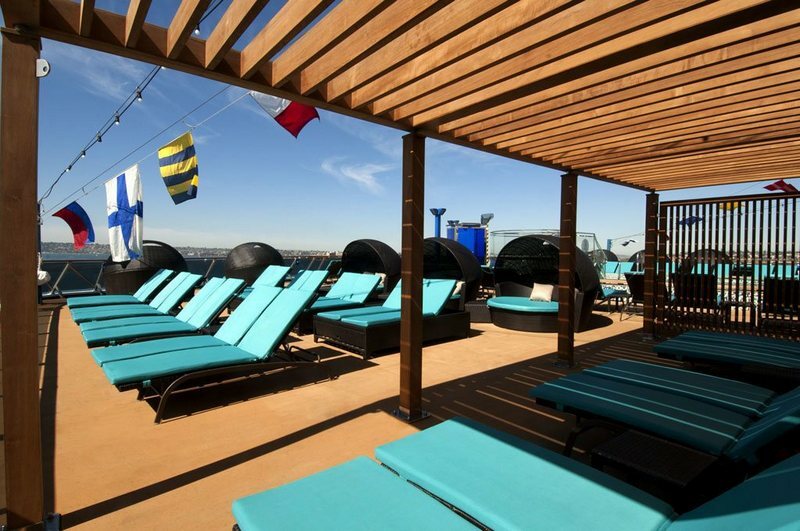 It’s an over 18’s exclusive pool-side relaxation area with a fantastic bar. It truly did justice to its name, it had such a relaxed environment that I really didn’t want to do anything else. Picture yourself sitting beside a resort pool in a hammock, a shaded lounge, or just a comfortable recliner, with a book and a cocktail in hand, the perfect place for kicking back and relaxing. But I will say this; do not forget your sunscreen! Lido Deck offers the perfect mix of fun for kids and entertainment for adults too, with a kids pool, a massive LED display which was perfect for watching all the latest movies on (think Doctor Strange, Trolls, etc) there’s also two excellent bars located there as well so you can enjoy a drink whilst the kids take a dip in the pool (If they’re not in the kids programs). My favourite night of the cruise was easily the 80’s themed dance party on the Lido deck, where I literally danced the night away! These three don’t even begin to scratch the surface of the things I did, to give you a bit of an idea, I went to; sing-alongs in the piano bar, trivia, bingo, cooking classes, health seminars, beer pong, art auctions, dance parties and so much more (and %95 of these are included in your fare) so as long as you’re willing to get involved, you will definitely have something to do. 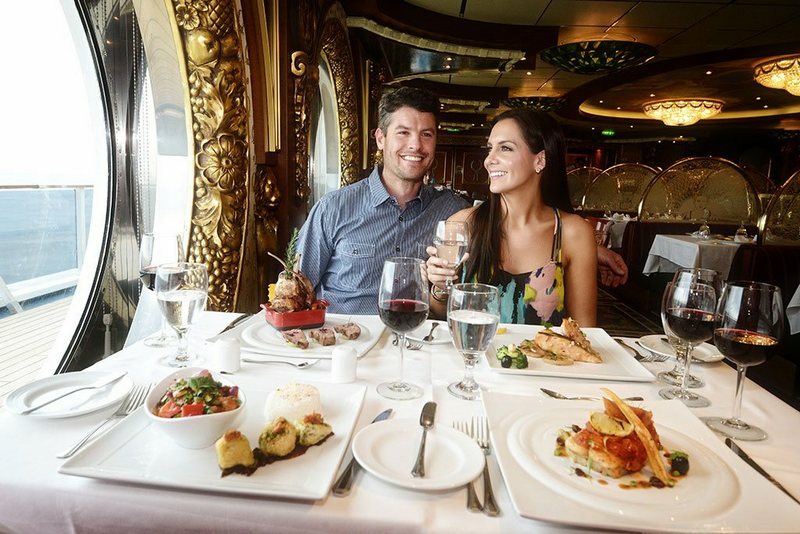 Some of the food on-board was amazing and some of it was just okay, but let me go through a few of the dining options for you, what I loved and what I didn’t. 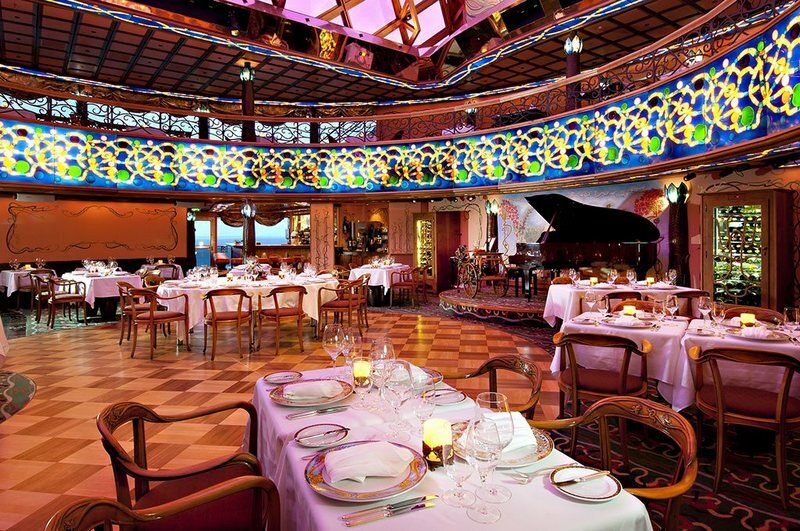 I went each night to the main dining, which is served ala carte. The food itself was okay, there was nothing that I had to return back to the kitchen, but none of the meals wowed me. The real draw card to the main dining was actually the service and the entertainment, our head waiter (shout out to Anil) remembered our names and our preferences (wine etc) straight away. So at least for our table, the dining was seamless. Combine this with each evening’s entertainment (usually two songs) and the overall experience was actually fantastic, despite the food. Fairly standard buffet dining, offered throughout the day, the service staff were excellent, and everything was kept clean and neat, if there was any mess or spillage it would be gone within 5 minutes. The food offered was typical of a buffet, noodles, rices, carved meat etc. the highlight was definitely the dessert buffet, which was always well stocked, and delicious! The dining available around the ship may seem like an afterthought to the standard dining, but actually provided the BEST food on-board in my opinion. The four options available were; Jimmy’s C-side BBQ, Guy’s Burger Joint, Blue Iguana Mexican and Pirate Pizza(All free of charge). Every one of these was delicious, my personal favourite though was Guy’s Burger Joint, it was just a simple grill offering cheese burgers and toppings, but it was absolutely delicious, and every person I spoke with had at least one of these burgers every day, so please try this when you’re on Carnival Spirit next! For the food lovers out there, you must try the Nouveau restaurant, I had a stunning 5 course meal there, and even though there was a cover charge of $45 it was worth it. I don’t want to spoil the experience too much, because it really defies description, but I will say this, maybe skip breakfast and lunch, because you won’t be able to fit everything they offer you at the mouth-watering Nouveau! It’s just like a hotel, you don’t need to pack towels, or soap unless you want to. If it’s your first cruise organise your on-board account as cash only, whilst this is a little less convenient than having it tied to a credit card, it means you know exactly what you’re spending the entire cruise. It’s quite easy to spend an extra couple hundred dollars (particularly on drinks), which can be a rude shock if you didn’t plan on it. Get involved! A cruise is really only as good as you make it, if you don’t get involved, you might be disappointed. Bring your friends along. 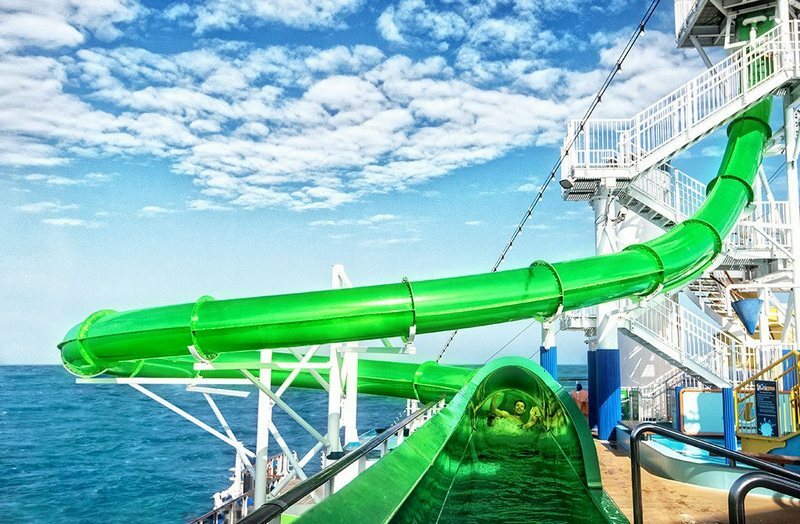 Honestly with cruising the more the merrier. There are a LOT of things to do for kids, so as a parent you can be confident that with Carnival you can have some alone time if you want. Check-in on board early. Your cruise might be leaving at 6pm, but everything is open the day you embark, no need to waste that time! Cash-out of the casino the day before you disembark. If you have winnings from the Casino they cannot be paid out the day you disembark the cruise, so make sure to cash out early! Don’t forget your e-Cruising Lanyards, your room-key becomes everything on-board, and it’s much easier to have it around your neck. Find out whether a particular cruise line is right for you by asking one of the team here at Ecruising. 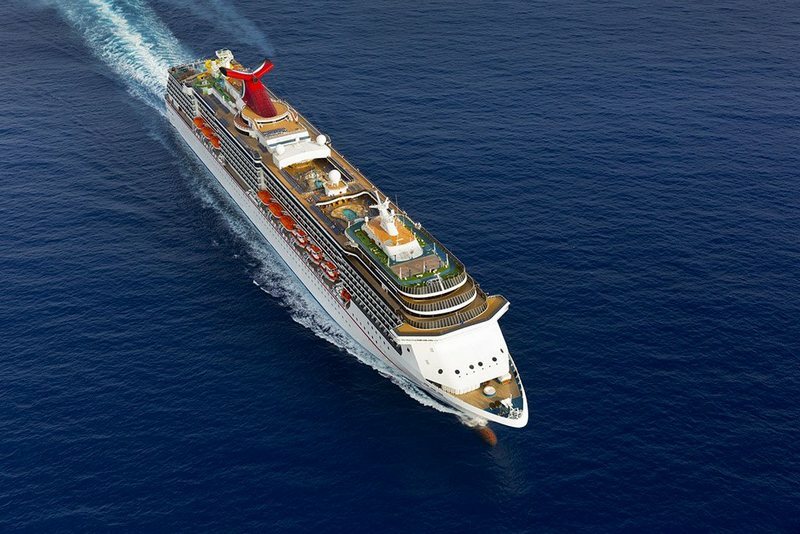 Whilst Carnival Spirit was fantastic for me, it might not be your cup of tea, so speak with an expert before you book! For those of you who made it through all that, thank you for reading! If you have any further questions, feel free to e-mail us at support@ecruising.travel or feel free to call on 1300 369 848.